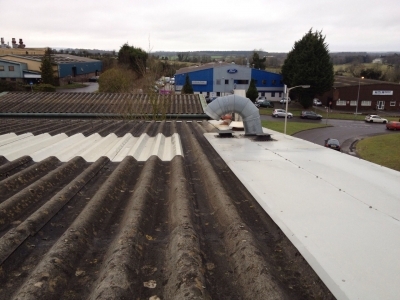 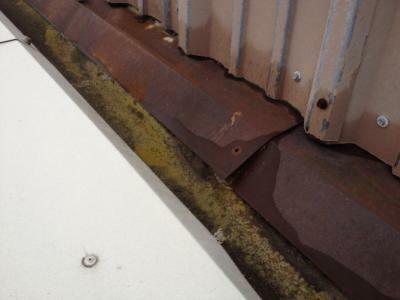 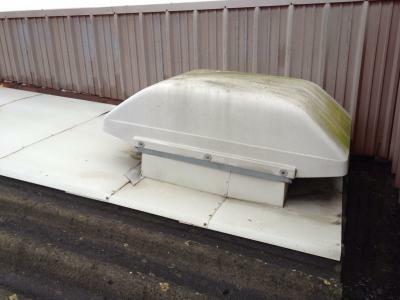 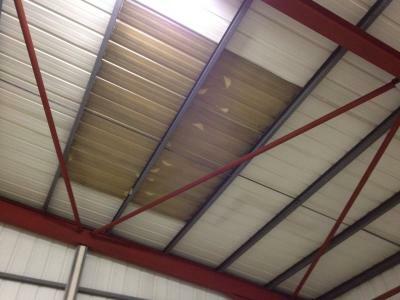 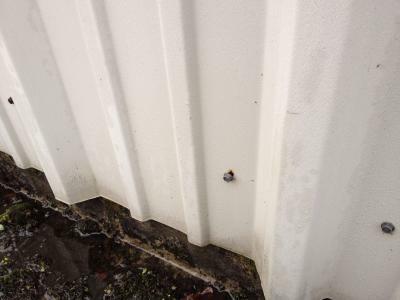 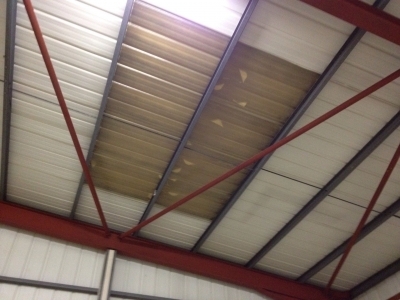 Asbestos roof build up and sheet metal sidewall cladding. 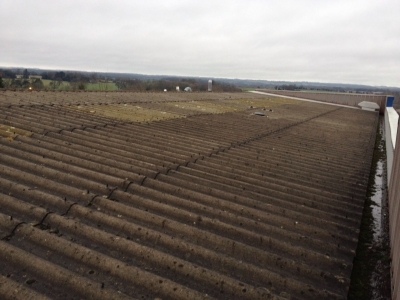 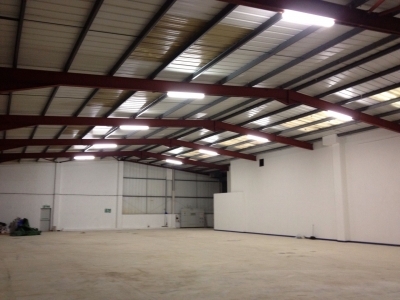 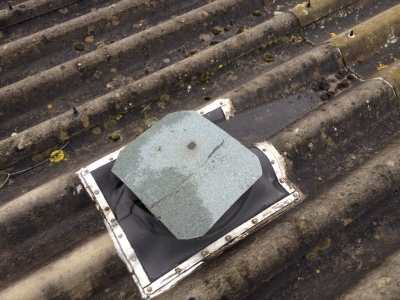 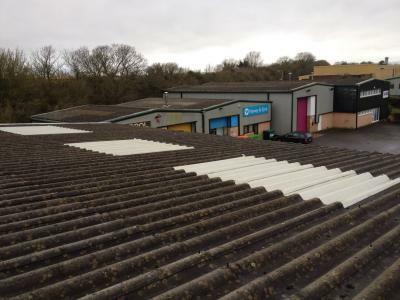 Work carried out: remove existing rooflights and overclad roof with Ash-grid support system, 200mm thermal insulation and 0.7mm as30 profiled metal cladding. 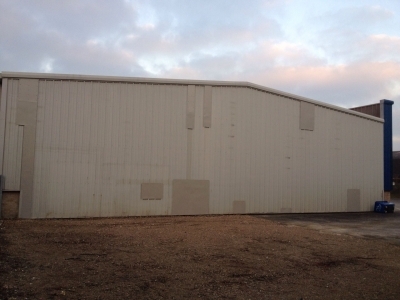 Replaced sidewall cladding and insulation. 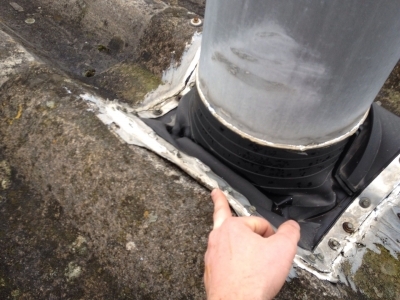 Fitted new trimline external gutter.